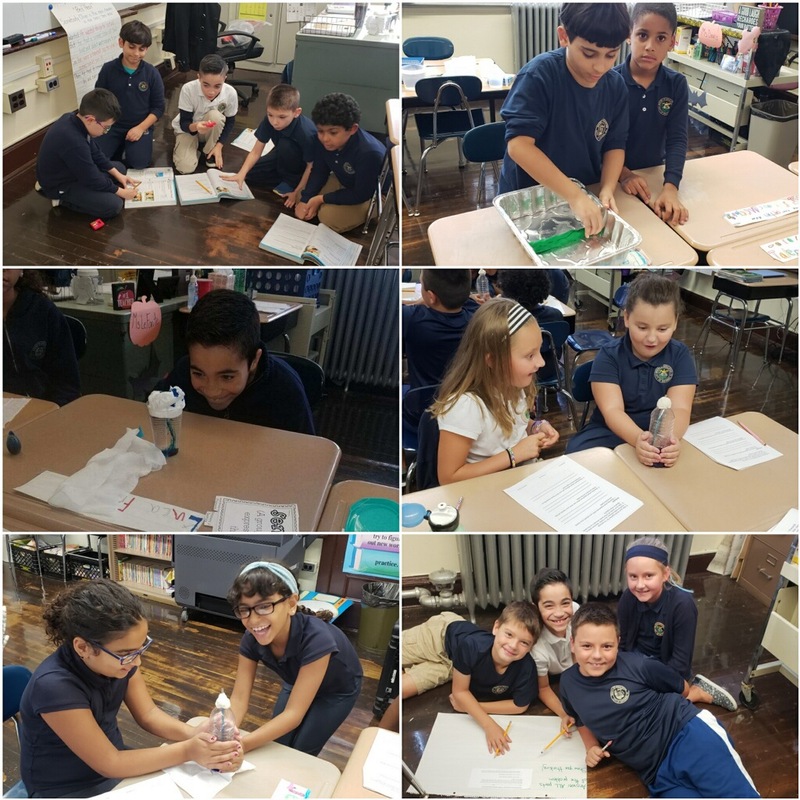 HANDS-ON SCIENCE — Students in Ms. LeFante’s 3rd grade class at Robinson School have been enjoying hands-on Science lessons to gain a deeper understanding of concepts. The students have conducted experiments by building and testing levees, using toy trucks to understand how force affects motion, creating their own thermometers to understand how water expands when it heats and contracts when it cools, and understanding precipitation by making rain. These little scientists have been busy enjoying the learning process! Pictured are several activities completed thus far.